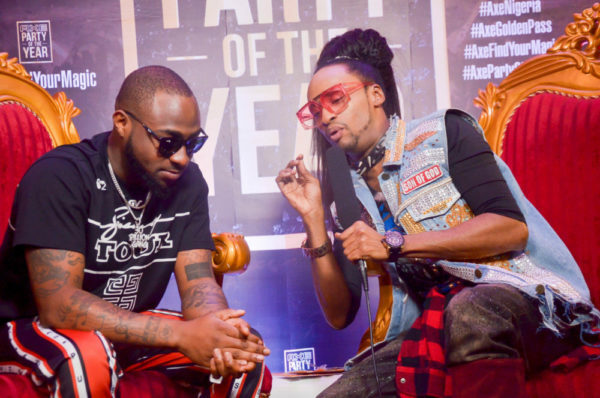 AXE deodorant, the world’s number one selling male grooming fragrance, lit up Lagos this past weekend with the AXE Party of the year (AXE POTY) headlined by internationally acclaimed superstar, Davido. 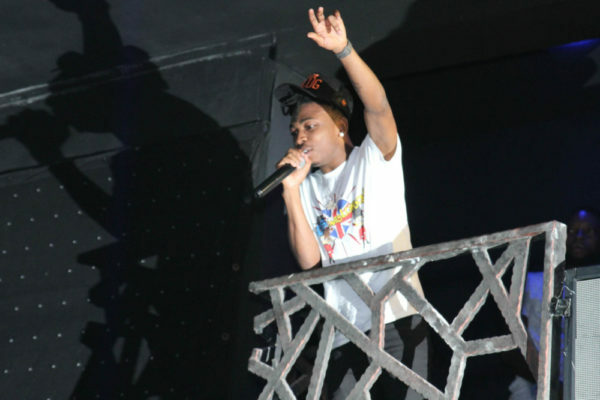 Before the leading star closed off the night with his magic performance, AXE influential movers shook things up with banging performances all through the night. 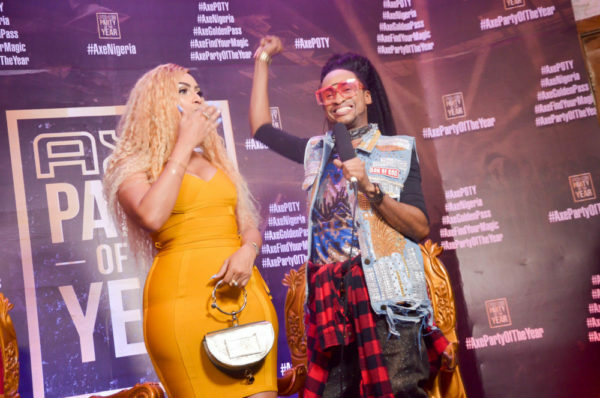 The exclusive event which was held at the grand Pablo Cubana in Victoria Island, Lagos, entertained hundreds of guests including major celebrities, media and the lucky winners of ‘Golden Passes’ to the epic party. The party which culminated the 2018 ‘Find Your Magic’ campaign, celebrated those who have embraced individualism to becoming their most attractive selves and alongside influential personalities who have risen to the heights of their talents in the music, arts and lifestyle industry. 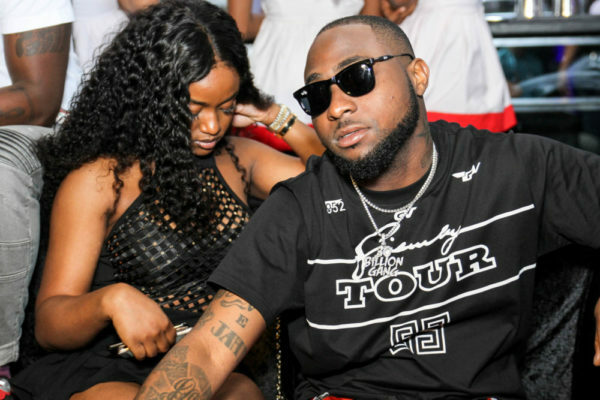 Partying with Davido, his 30billion gang – Asa Asika, Mayorkun, Sir Banko, Adewale Adeleke, Sam ‘Olofofo’ Frank, Dremo, Ichaba, Yonda, DJ E-Cool, Kiddominant, Fresh VDM, Sina Rambo, B-Red, Peruzzi, spirited host of the party, Denrele Edun, and leading DJs, Sose, MonDollar and Consequence. Other well-known stars at the party included, VJ Adams, legendary dancer Kaffy, Juliet Ibrahim, Skales, Victoria Kimani, Sotayo Gaga,Natasha Gillies, Maurice Sam, Joan Berkheiser and loads more. Getting a ticket to the exclusive AXE Party of the Year was indeed like winning a golden trophy. A competition was put out to consumers of the brand via AXE Nigeria social pages to show their magic at an audition venue in Ikeja, Lagos. DJ Big N, DJ Sose and dancer, Kaffy all sat in, as esteemed judges over the exciting audition process. Other consumers also won their golden pass by texting the last four digits of their product can to a short code for an added chance to win. Speaking at the party with enthusiasm, Adetoun Adegbite, Category Manager, Skin Care & Deos, Unilever Nigeria, said; “Our party is an exciting one indeed. The AXE deodorant brand is focused on discovering young creatives, empowering them to find their magic and encouraging them to share it with the world. As such, we ensured that the mechanics for attending our party included these, thereby inspiring them from the online call for entries stage and all through to our live auditions”.